Freelancers, agency workers, contractors, temps – however you label them, gig workers are changing the employment landscape for good. This new world of work, enabled by new technologies and business models, presents opportunities and challenges in almost equal measure. As the fourth industrial revolution continues to disrupt virtually all industries, it’s incumbent on HR and business leaders to maintain a people-first perspective on workforce norms – particularly around engagement. Why bother engaging gig workers? If the main benefit of having a mobile workforce is the fact they don’t require the same level of resource as permanent employees, you might wonder why it’s important to engage them in the first place. As the average employee tenure continues to shorten, it’s not uncommon for gig workers to stick around for longer than permanent employees. To get the most out of their tenure, it’s worth making the effort to engage and motivate them. Here are seven steps to get you underway. As technology brought gig work to the masses, it also provides the key to engaging those involved. Digital savviness is a prerequisite for lots of gig economy work. Gig workers are often digital nomads who engage with technology on a daily basis. Employers should use SMS or email or platform messaging to communicate with them regularly. While the development and training of gig workers isn’t typically the responsibility of employers, it’s a mutually beneficial practice to involve them. Many gig workers will likely have been hired in the first place to deliver on their existing skills, but offering them opportunities to upskill as if they were employees will encourage them to continue to impress. This essentially means building a robust employee value proposition (EVP), despite the fact they’re not technically ‘employees’. Call it a GVP. Your gig cohort exists because of the flexibility the agreement offers. It’s important that employers respect this, and resist the temptation to treat them as they would a regular 9-5 workforce. This is easy to forget when you’re using digital platforms to connect with and mobilise your remote workers – it’s about keeping them in touch, not on a leash. There’s no better way to show gig workers their value than by revealing to them the end result of their efforts. This could mean telling workers about the customers they’re helping on a daily basis, or about their value to the business. Creating meaning means moving away from transactional relationships, which in turn encourages workers to deliver a better service. Gone are the days when many large organisations would have people on the payroll without a clearly defined remit. Gig workers exist because their contributions matter, it’s simply a case of drawing attention to this importance. Organisations such as Deliveroo are leading the way in creating a sense of togetherness among workers through multi-platform technology and periodic events. Not only does this open up a support network for jobs that can be isolating, it also creates an affinity with the brand. There are now 4.8 million self-employed in the UK. That’s risen 34% since 2008. And while it’s hard to put an exact number on it, the evidence suggests this figure will increase further in the next decade. Young people entering the job market are seeking more and more flexibility – and prospective employers are beginning to have the same idea. Meanwhile the data clearly shows that the flexibility of gig work appeals even more to the older working generations. But the idea behind engagement is a simple one, regardless of age: the more organisations look after gig workers, the better the environment becomes and the more it will grow. 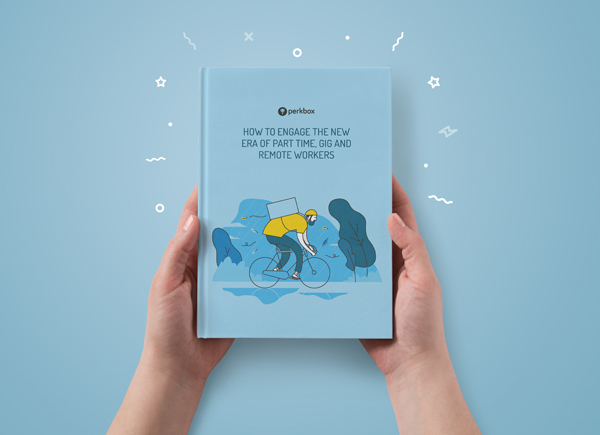 If engaging gig, remote, part time or temp workers is on your to-do list, check out our hot-off-the-press ebook on the topic. Enjoy!